In today’s world of transportation, people are utilizing more options as a way of going to and from and for different reasons. In congested cities, some modes of transportation are easier than the next. Some other reasons are for economic reasons. And for some, they are thinking about the ecosystem. This raises a valid question of are bike paths needed? I would say so for a few reasons. 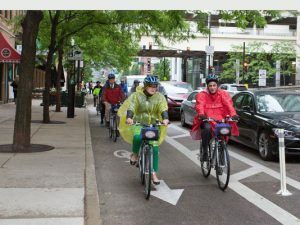 Many State legislators & planners feel that it would be of good interest to fund bike paths because not only would it be providing a versatile way to commute but it will make options available for all sorts of citizens. Some people don’t have an automobile for various reasons. 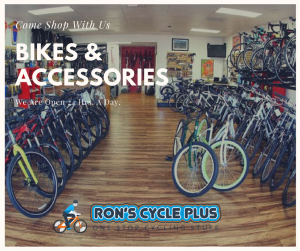 Bike paths are the same as bike lanes because of the fact they make people feel safe enough to ride bicycles to go to and from their destinations knowing that they have their designated areas to ride in. Most paths have the walking pedestrian in mind as well. Not only that, these same paths do connect certain areas together which accommodates the cyclist, hikers or walkers with another means of transportation for getting around the city. This is what legislation and city planners are considering. There are some people who don’t like the idea of by adding bike paths and lanes, the existing roads are going to be compromised. It is true that in some cases lanes will be lessened for automobiles but it will make it much safer for all that is concerned. All in all, if we are going to commute besides one another why not make it safe? All this takes to work is for everyone to have some consideration and courtesy for the next person and get along out there. This, in turn, will make it much safer and everyone will feel more comfortable using whatever mode of transportation of their choice. The State of California is really in tune with what adding these paths and lanes can do for their communities as is with other States. They are allocating millions of dollars to places like the Broadway Corridor and other areas to open up other ways to commute. With the help of bicycle and pedestrian paths traveling around will be much safer and more people will be more prone to take that bike and ride it to work or walk if the distance is not too great. I live where there are not many lanes and I have been hit twice so I know what it feels like to be riding with that thought in your mind every bike pedal you take. So yes I think it is a good thing and I hope that more States consider adding these things to their budget. For those of you that have the luxury of riding where there are bike lanes, I have included a short video below on the way you should ride using them. I personally feel that if a person has some way they could get around safely as possible they will use it. There are new types of bikes being developed constantly. The Ebike certainly gives people a great way to commute to and from. Then there are a lot of people who enjoy getting out and walking whether it is for exercise or to get to and from one place. Then there are the automobile drivers who get nervous having to drive past a cyclist or have an attitude because they feel like they are taking up the roadway. So in short, paths & lanes will bring or eliminate all of that but it will take some compromise on all ends. We all have to respect one another’s transportation space as it will make it so much safer and will open up different ways to commute allowing everyone a way to get around besides having to have a car. Thank you for visiting the article and please share your thoughts because this is a topic that has two sides. Some are for it and some are against it. There is a comments section below that these things can come head to head on. ← Are Bicycles A Burden To Cities? Thanks for this article. 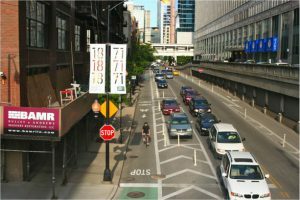 I live in a city where bike lanes are a part of the city plan and more busy roads in the downtown area are having bike lanes added. I think they’re a great idea – both for cyclists and motorists. As a driver its often difficult to see cyclists which can lead to accidents. When the cyclists have their own dedicated and protected lanes (ie there is a physical barrier next to them) everyone is far safer and it places a lot less pressure on drivers. Paths are even better. Bike paths mean fewer cars on the road and, in some cases, faster commute times for those who ride. A win-win! Absolutely, Margaret. It can really startle a driver who sees a bike rider at the last minute and could cause some problems. I ride amongst automobiles where I live and it is not the most comfortable feeling in the world but I have adjusted to it pretty much. But I still get shaken up sometimes because some will come to close to you rather than go around into the next lane. So to have paths and protected lanes will make everyone safer and more comfortable out there amongst each other. I really think having cycling lanes makes it a big difference. Here in Finland (at least in the north) we don’t have lanes for cycling, so people go on with their bikes on the car lanes or by the walking lane, and this frustrates me every time since most of them don’t take the cars into account when cycling. This can, of course, be flipped upside down, since every time I cycle in there, most of the cars get past me so close I am afraid to fall over or get hit. Lucky for us, the sidewalks are safe to go with a bike as long as you’re not going too fast. Loved the article! I really hope there will be cycling lanes for us in Finland as well, or at least that they would make them more common even outside of bigger cities. Thank, Jonas. I have been writing for a little while now and I am glad to hear you say that it is good reading. I try to write about topics that are a concern for bike riders and to try to establish a common ground for all commuters concerned whether auto or bike. Please return and leave your views in the comments section as much as you want. Hi there. I really like biking and feel that more bike lanes would be really good and a lot safer. People in cars, for some reason, just don’t see some on a bicycle when they are driving. I really do hope that legislation gets more involved and approves more bike lanes in cities. It would be good for everyone concerned I think. I would also like to see more country bike lanes where you can go enjoy the outdoors for a bit. Riding in the country is so relaxing and really clears the mind. Hi, Carl. I think it would be extremely nice if there were paths in the country. That would be a very tranquil ride.